I'm always looking for products that will make your dollhouse construction easier. Not everyone wants to invest in wood cutting machines. So I found a product that's pretty easy to cut with even a craft knife! And it's cheap too. The material is a composite. But it does not warp with moisture. So it's perfect for paint, glue, plaster or concrete application. One side is smooth and the other is rough. You can use a craft knife or a box cutter. Just score both sides for a neat and clean cut. Sanding is a breeze too. The end result is a dollhouse that is just as strong as if you had used hardwood. So if you can't get your hands on a saw try this stuff out. I think you will be very surprised with the result. I hope to be here more often this year! I like this option. Thanks for sharing with us Caroline. You're always giving good tips. Thank you so much for this tip. I'll go and check up at the local home depots if they carry this material. Thanks for this information Caroline! This is great! I havew a few projects where I can use this. One is an extended roof for a porch. Thanks so much! That's terrific! Happy New Year! Oh thank you Caroline for that suggestion!! I'll visit Home Depot tomorrow. Happy New Year Sally! Thanks for visiting! Es una buena opción,gracias por compartir!!! Parece un material estupendo que habrá que probar. And what will you be making? It is nice to know that there is a good product to use miniatures. I am still taking a break from the dollhouse. I have to put away all of the Christmas stuff before I can get back to work on the dollhouse. I'll be back soon. 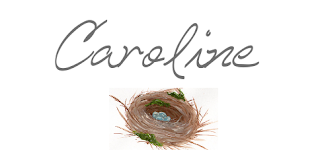 Happy New Year, Caroline. I can't wait to see what you create in 2017. Thanks, Caroline! Is this okay to build furniture with? I need to build kitchen cupboards. By the way, a very Happy New Year to you. Wishing you all the best for the coming New Year! Thank you Caroline for the tip I will be looking out for this. Thank you so much for all the tips you share so generously throughout the year. Wishing you and yours a wonderful happy healthy peaceful 2017. Do you have plans for the doll houses? I am looking for some general guideline plans for a doll house so that I can begin a design of my own. Room height. Door sizes. Windows. etc I would love a download of these guidelines. Thank you for sharing this information! I need to bring the walls out around some doors I'm installing in my dollhouse and this will be the perfect solution. I'm enjoying my visit here and am inspired by your creativity and tips. Thanks again!